Plastic pallet boxes made of high-density polyethylene HDPE, available in virgin material with certification of suitability for direct contact with food or in black regenerated material for all uses that do not require it. 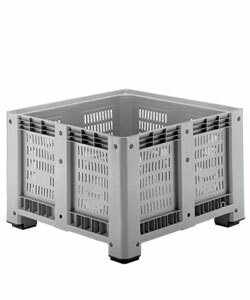 Stackable and easy to store, the plastic pallet boxes are resistant to acid or alkaline solutions and suitable for deep-freezing. They are used in industrial handling and storage of goods and in the versions with bottom and closed sides they can retain liquids that can be easily emptied with a tap. 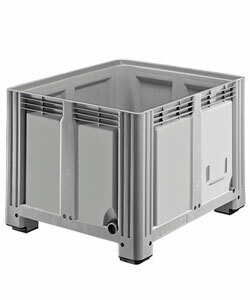 Equipped with a hatch, the plastic pallet boxes are easy to lift even when stacked; they are suitable for containing small parts, finished and semi-finished products, manufacturing waste and litter. Rollawaycontainer.com produces solutions for the logistical world. These solutions are applied to production, movement and distribution of goods and services.